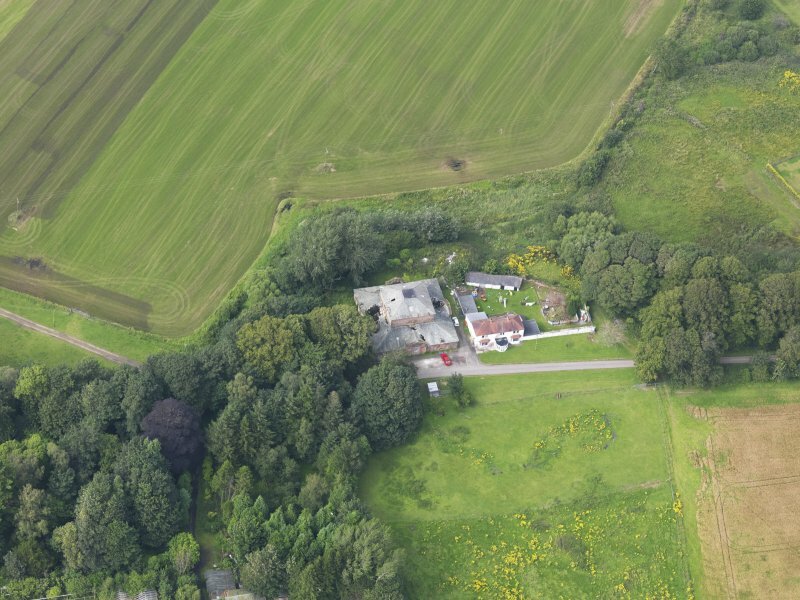 Oblique aerial view of Carnsalloch House stables and cottage, taken from the NNE. 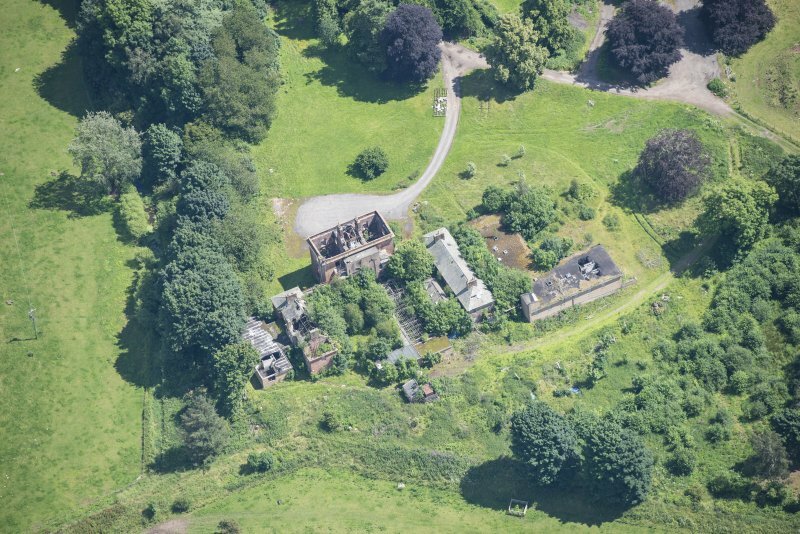 Oblique aerial view of Carnsalloch House and walled garden, taken from the NE. 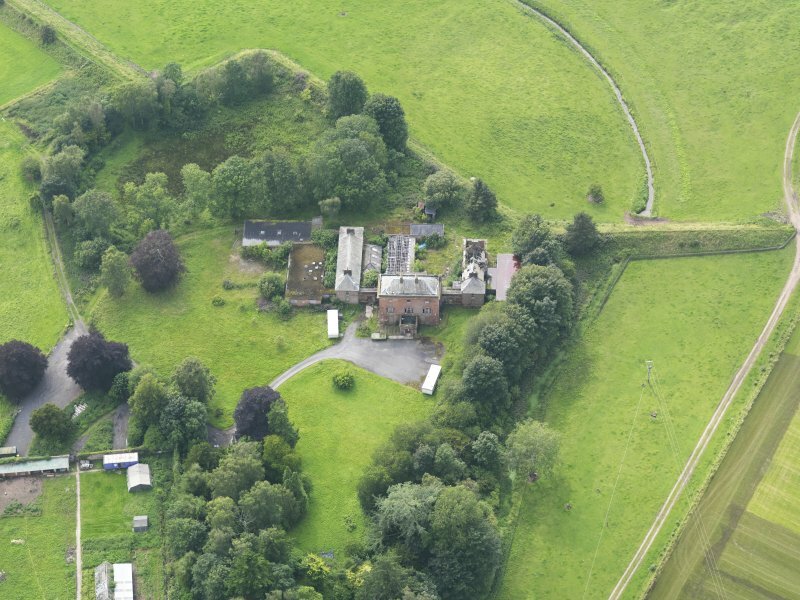 General oblique aerial view of Carnsalloch House and policies, taken from the SW.
Oblique aerial view of Carnsalloch House, taken from the ENE. 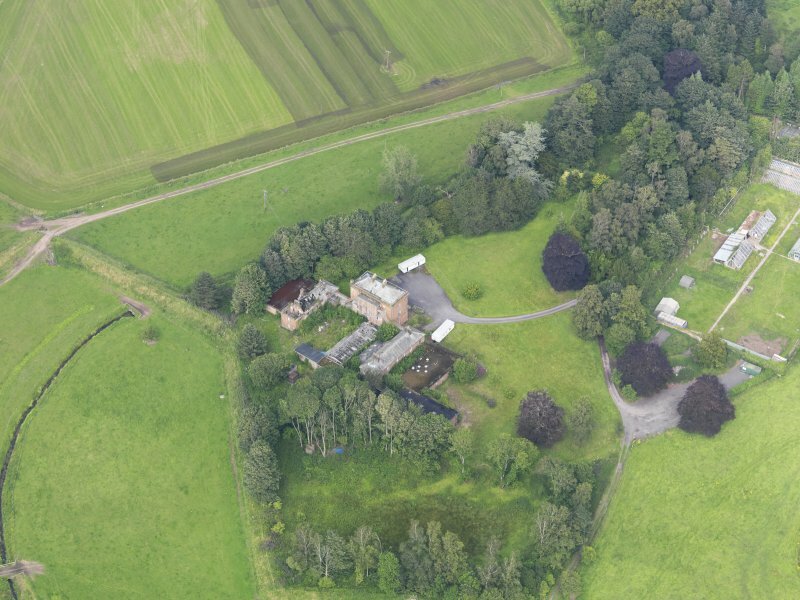 Oblique aerial view of Carnsalloch House, taken from the ESE. 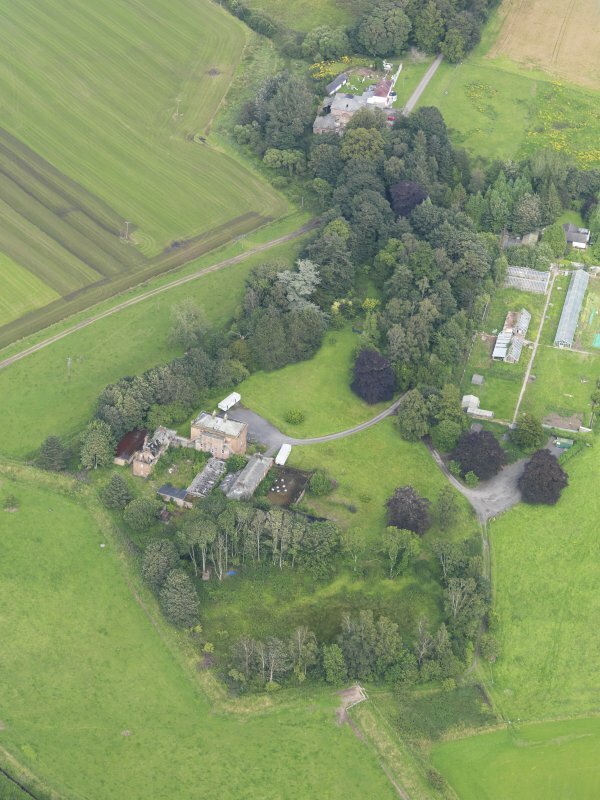 Oblique aerial view of Carnsalloch House, taken from the SSE. 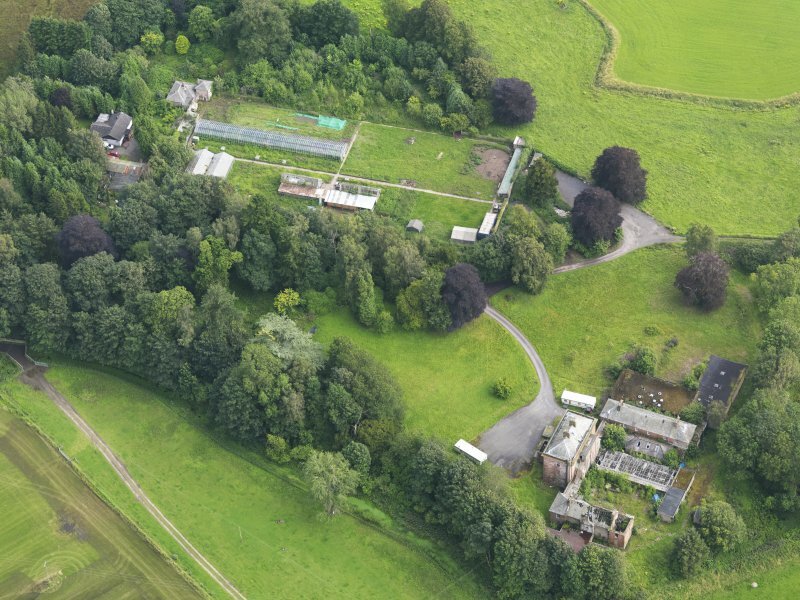 Oblique aerial view of Carnsalloch House and walled garden, taken from the NW. 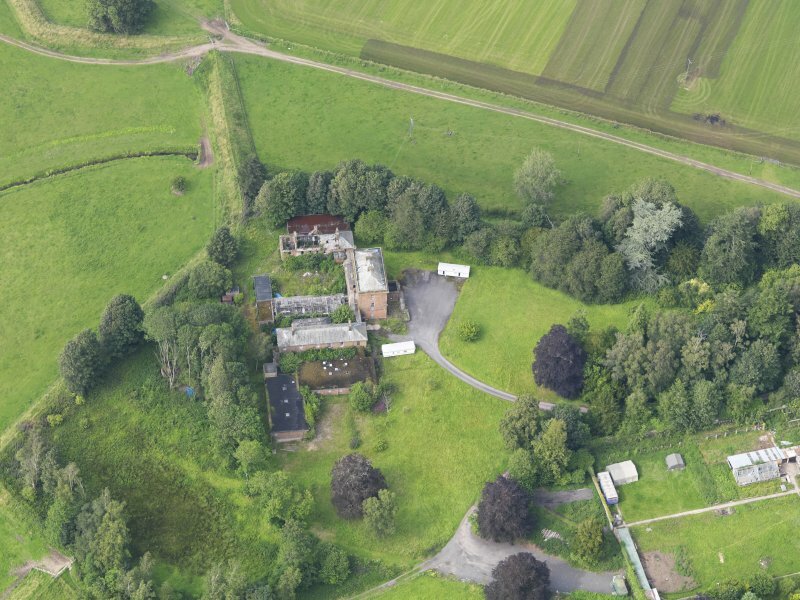 Oblique aerial view of Carnsalloch House, taken from the SSW. 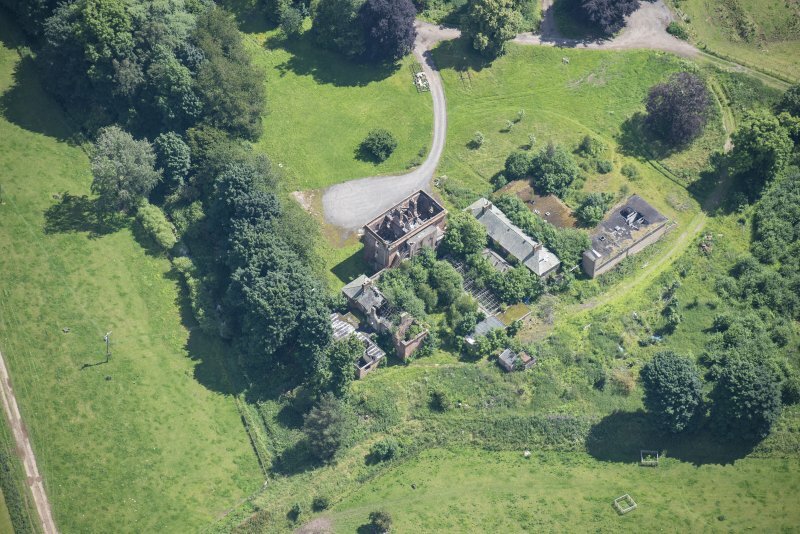 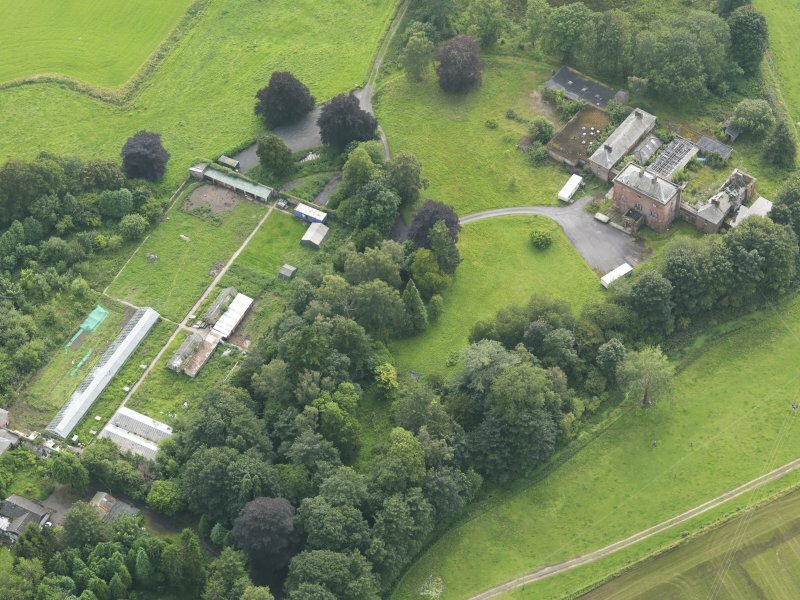 Oblique aerial view of Carnsalloch House and walled garden, taken from the WSW. 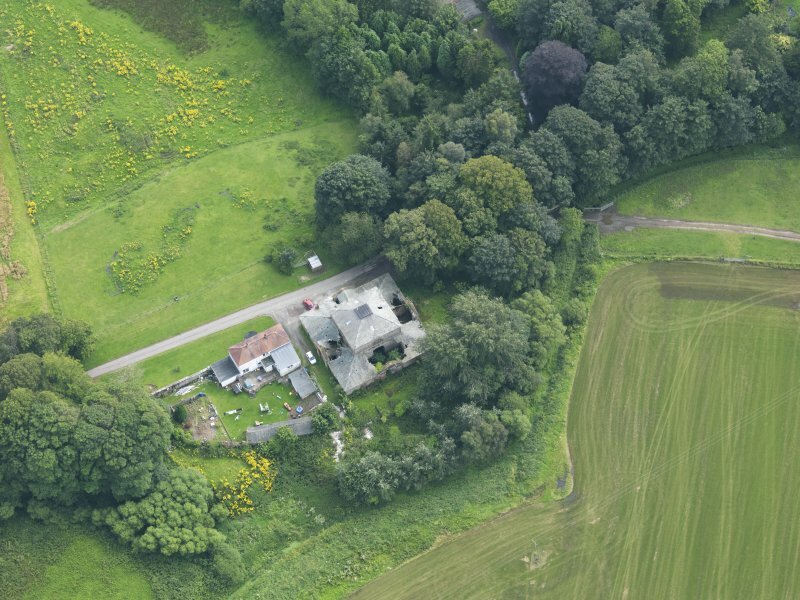 Oblique aerial view of Carnasalloch House stables and cottage, taken from the SSE. 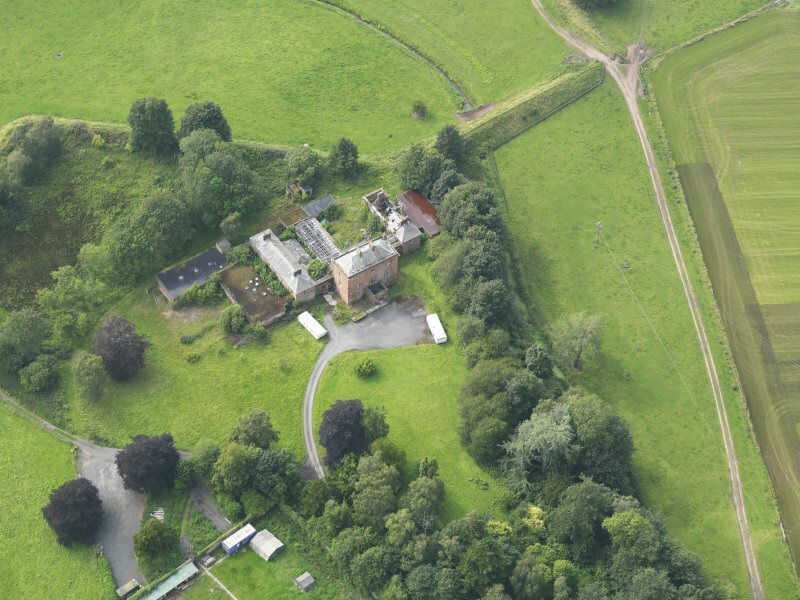 For Carnsalloch, The Mount Chapel, see NX98SE 58. 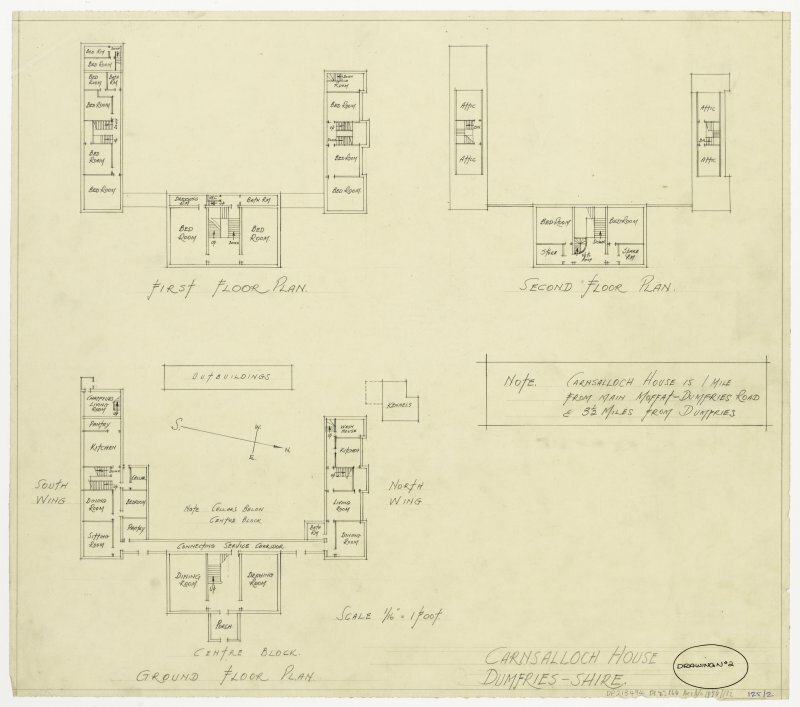 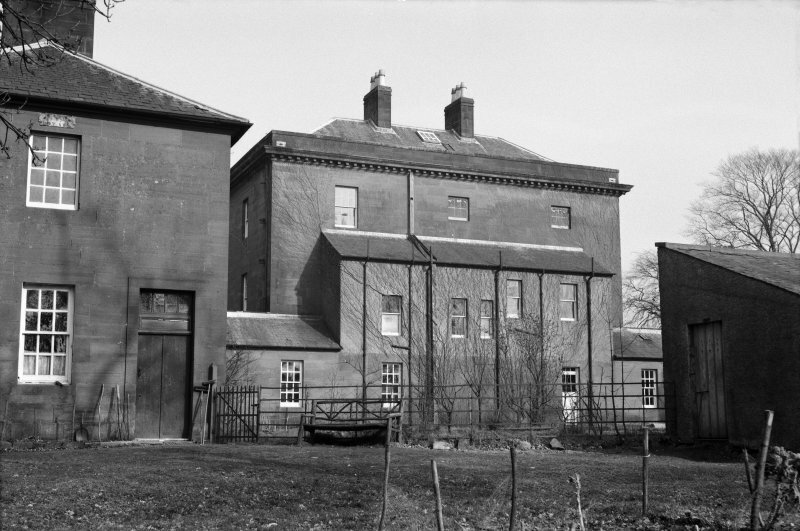 Palladian mansion house; 2 storeys on raised basement with flanking wings. 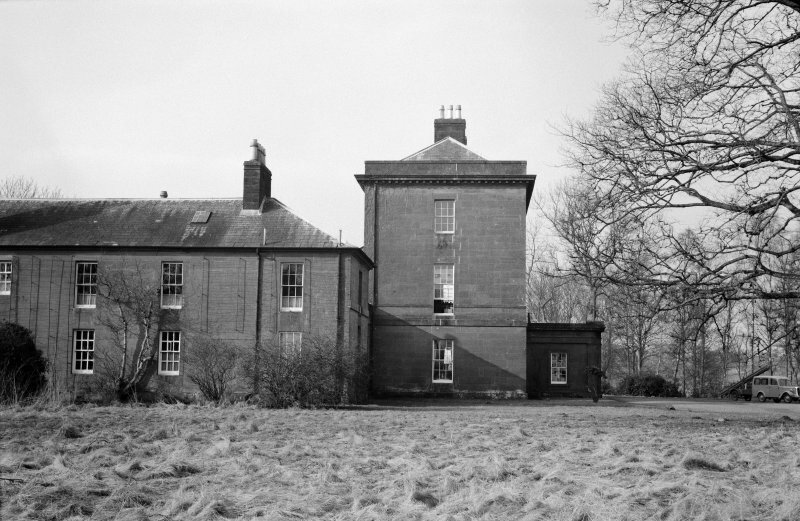 All red ashlar. 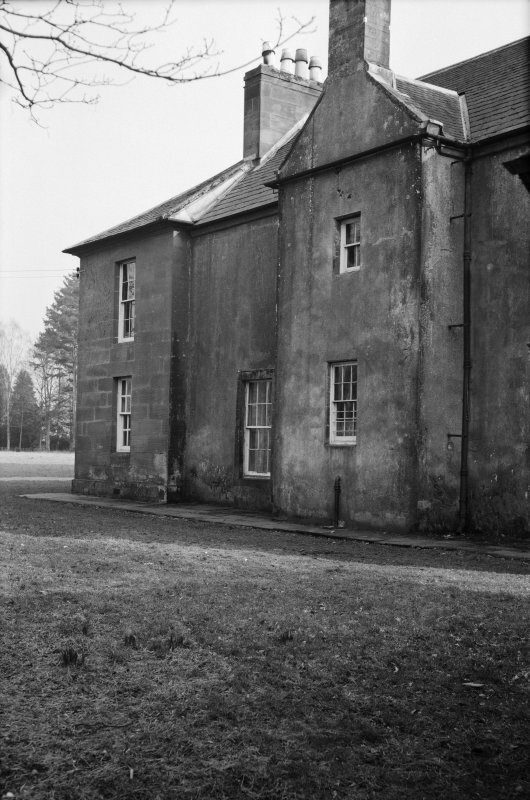 The principle entrance is the 3-bay east elevation, to which a central pilastered porch (panelled and studded door in pedimented doorpiece) was added early 19th century. 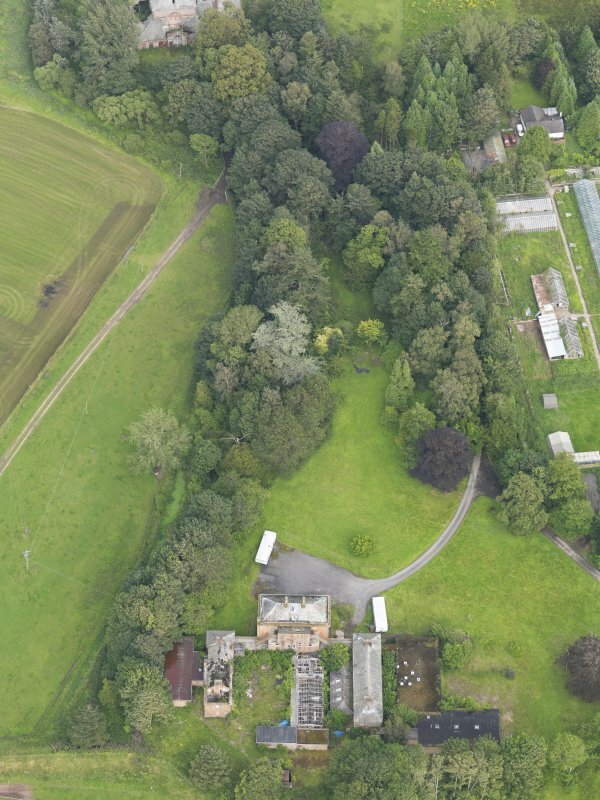 There have been modern additions to north and to south of wings. 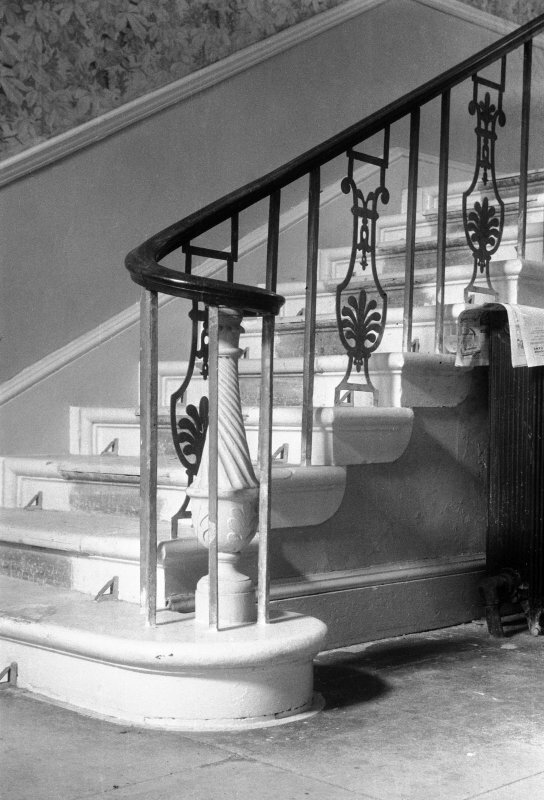 Dated 1759 on north wing. 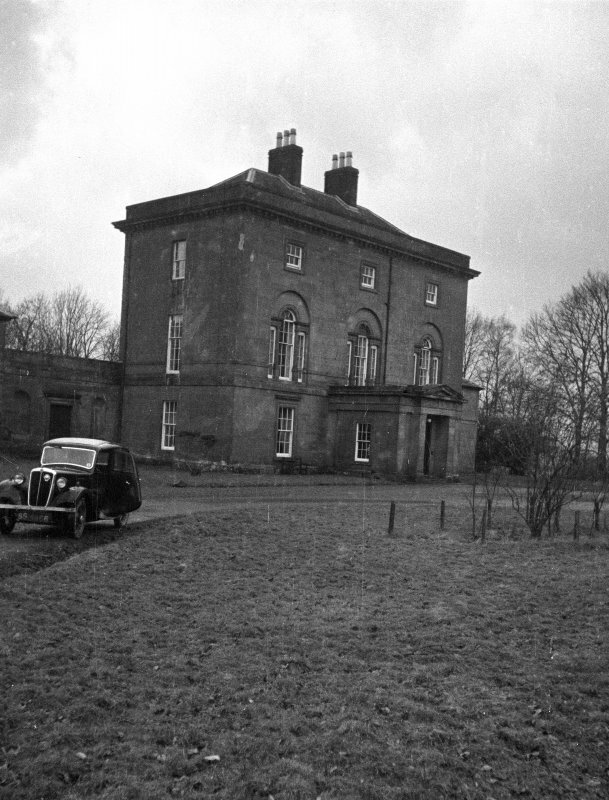 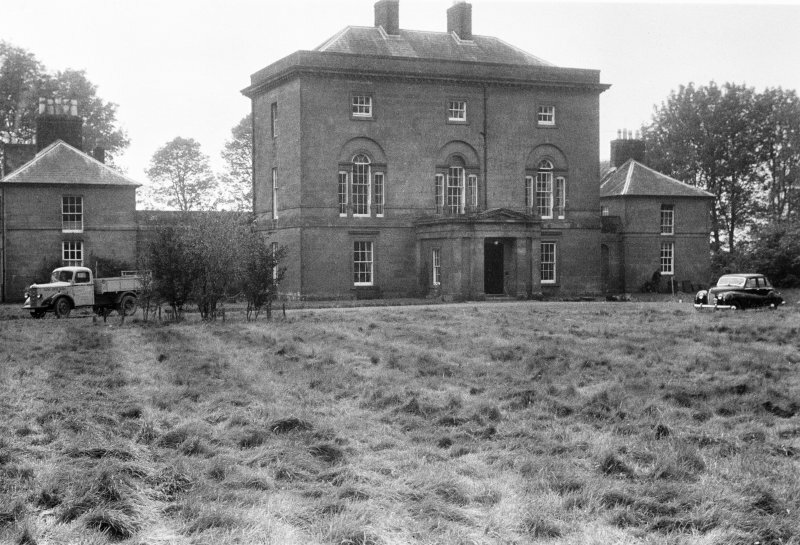 From the late 1960s to around the millenium the building was owned by the Leonard Cheshire Foundation. 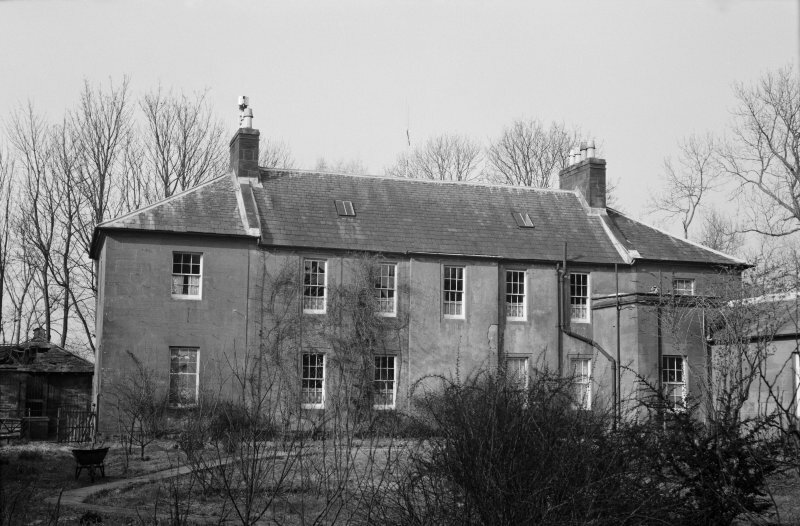 Subsequently it had a brief period as a private school. 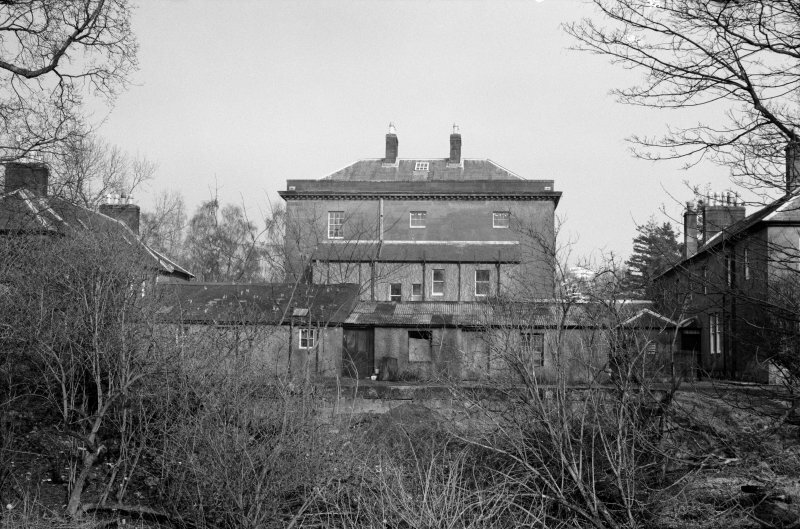 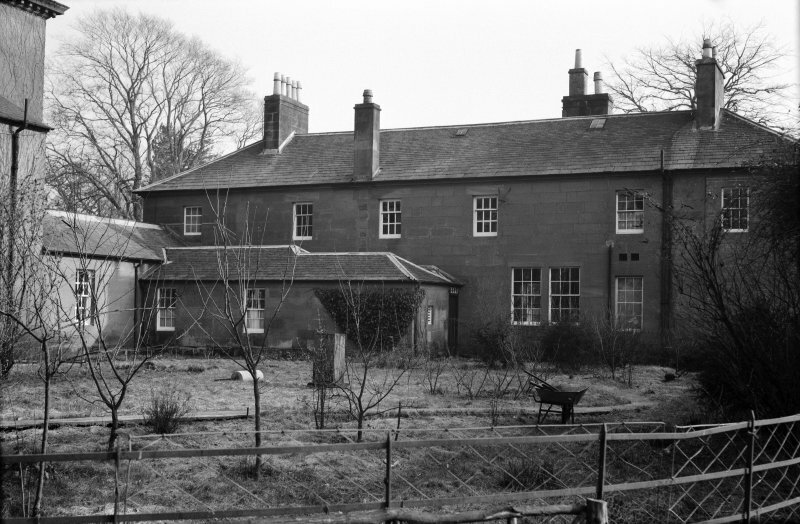 Photographic survey by the Scottish National Buildings Record/Ministry of Work in March 1954.